hd00:30Seagull taking a bath and drinking water on a fountain in Downtown Long Beach, California during a sunny day. sd00:48Seagulls around and in the water flying and swimming. 4k00:18A seagull stands on a rock while a juvenile pokes its head up near the Juan de Fuca Strait in Victoria, British Columbia, Canada. 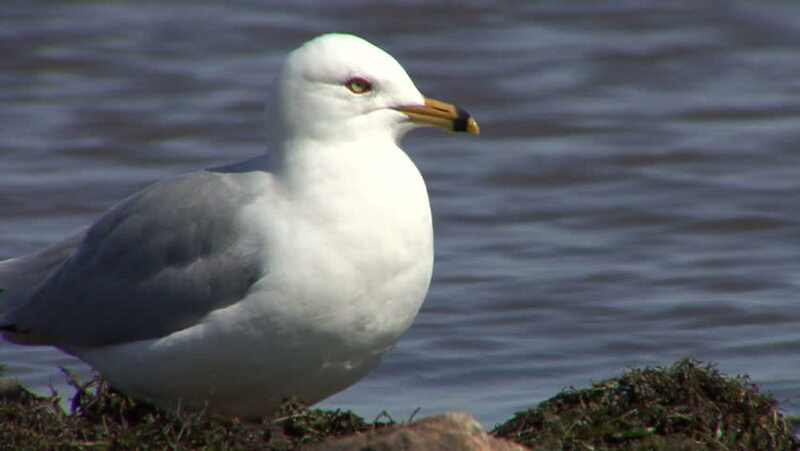 hd00:12Seagull bird natural animal footage. Bird background.